UEFA has published its third Football and Social Responsibility (FSR) report using the Global Reporting Initiative (GRI) framework as a guide, for the first time. The report reviews the 2014/15 season’s activities and, by doing so, illustrates the ways in which football can contribute to society. It uses GRI to report in a structured and concise manner that closely follows international sustainability reporting standards. 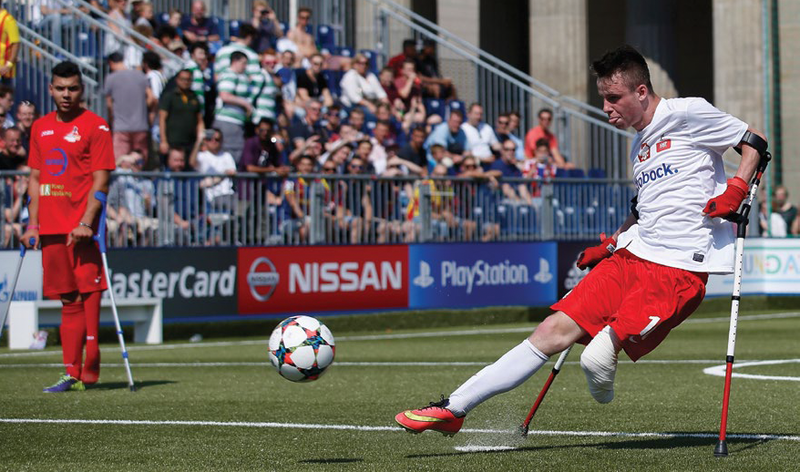 Midway through a five-year FSR cycle (2012-2017), the report looks back at a season during which UEFA organised the Respect Diversity conference in Rome; included Amputee, Blind and Special Olympics showcase football matches in the build-up to the Champions League final; and kicked-off its Captains of Change initiative, aimed at fostering more diversity in the management of European football. The report includes insights in to UEFA FSR Partner activities, such as the Homeless World Cup in Chile; WWF’s efforts to encourage key investors to phase out fossil fuels in favour of renewable power; and the World Heart Federation’s Eat for Goals initiative, to name a few. The report is structured to detail Partners’ main activities as well as their planned activities for the 2015/16 season. Each Partner’s key performance indicators are presented throughout the report, to monitor progress against objectives and encourage reflection and learning. UEFA’s FSR unit maintains a close relationship with these expert organisations to address key social development issues through football. As such, the report is divided in to social themes, with each section detailing the work undertaken by the relevant group of Partners. Themes include Diversity, Inclusion, Environment, Health, Peace & Reconciliation, Solidarity, and Fan Dialogue. Information on UEFA’s social responsibility strategy, initiatives and news – including previous FSR reports and key documents – can be found on the UEFA website. The report was compiled by Schwery Consulting. Please contact us if you have any queries or feedback relating to the report.